A gentle body cleanser for dry, sensitive skin. Apply a generous amount into hands or cloth and massage over damp skin. Rinse thoroughly under shower. Can also be used as hand cleanser. For maximum benefit use with our Revive and Repair Body Moisturiser with Vitamin C.
Aqua(Water), Cocamidopropyl Betaine(derived from natural sugars and fatty acids), Lauryl Glucoside (derived from Coconut), Sodium Lauroyl Sarcosinate ( derived from soya bean), Coco-Glucoside (derived from Coconut and fruit sugar), Aloe Vera Leaf, Potassium Sorbate, Sodium Benzoate, Citric Acid, Citrus aurantifolia (Lime) Peel oil, Citrus nobilis (Mandarin) Peel oil, Cedrus Atlantica (Cedarwood) Bark oil, Coriandrum Sativum (Coriander) Seed oil. 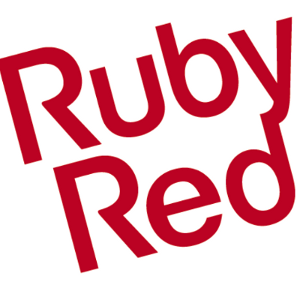 Ruby Red is a British botanical brand that launched its apothecary range in 2012. 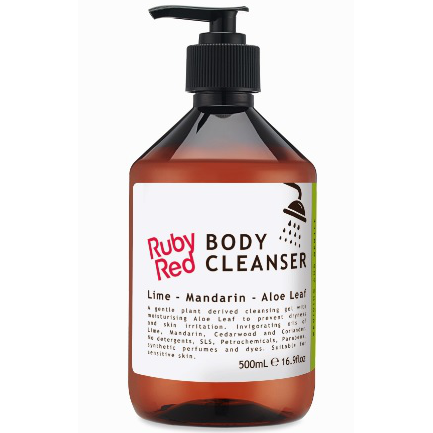 I got this body cleanser in the 100 ml travel size, along with a 100 ml Revive and Repair Lime body moisturiser. The plant derived cleanser ensures you aren't stripping the natural oils from your skin while showering. The scent is a lovely hit of citrus (lime & mandarin) with cedarwood and corander. Great wake up combination for those days when you need a lift to get started. Looking forward to trying more from this brand.